The Sole F60 folding treadmill is an impressive achievement for 2013, with a low sticker price and a few improved features. If you've been waiting to buy a Sole, now may be the time. Sole introduces the F60 as a way to bring down the usual sticker price of a Sole machine. Although listed at $1400, it’s available at an impressive sale price of less than $700 at Sears (the exclusive outlet for this particular model). 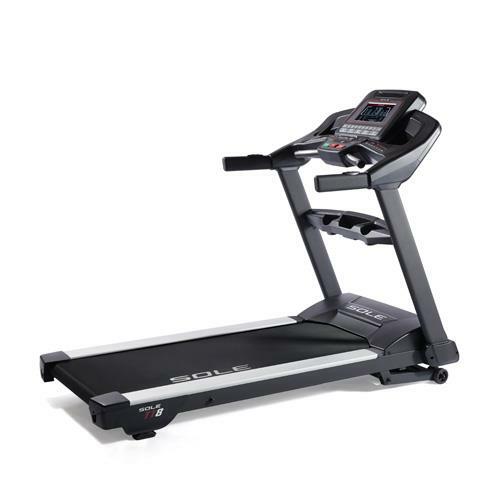 The Sole F60 folding treadmill may also be available online in the near future, but for now, it is Sears. As usual with Sole, you're getting a truly solid piece of exercise equipment that should last you for years. While the overall design remains the same as most other F series models, there are some nice details for 2013. The 5.5" screen on the console impresses with an LCD display showing speed, time, distance, incline, calories, heart rate and pace. UPDATE: The Sole F60 is no longer available and has been replaced by the all new F63 model. It has a more powerful motor, larger display and other new features. The Sole F60 folding treadmill is quickly generating interest because they've done the impossible - crafted another stellar treadmill, but reduced the price. 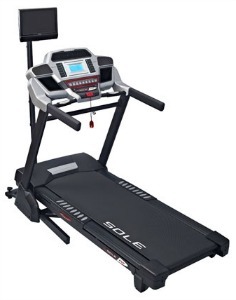 Sole is selling this new model through select Sears stores, which means it's even easier to schedule repairs or maintenance in the event you need them, which is highly unlikely. These treadmills are built to withstand some pretty rough treatment. Runners are particularly happy with the cushioned running surface that minimizes wear and tear on your knees. While some other Sole models had a generously sized running deck to begin with, the additional 5" on the length of the treadbelt makes it easy to run using your broadest stride with no worries. If you can get this incredible machine for less than $700, it is quite simply a steal. The console has plenty of features, including a ¼ mile lap track indicator for those who like to keep track of distance or simply enjoy watching their progress on their console screen. The long running surface and a well-equipped console are all the more impressive because you aren't paying extra for them. 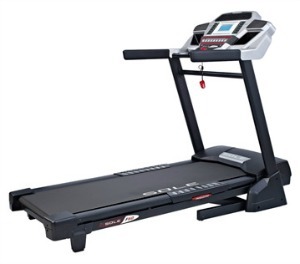 Throw in the unrivaled lifetime warranty on the motor and the Sole F60 folding treadmill can't be beat.